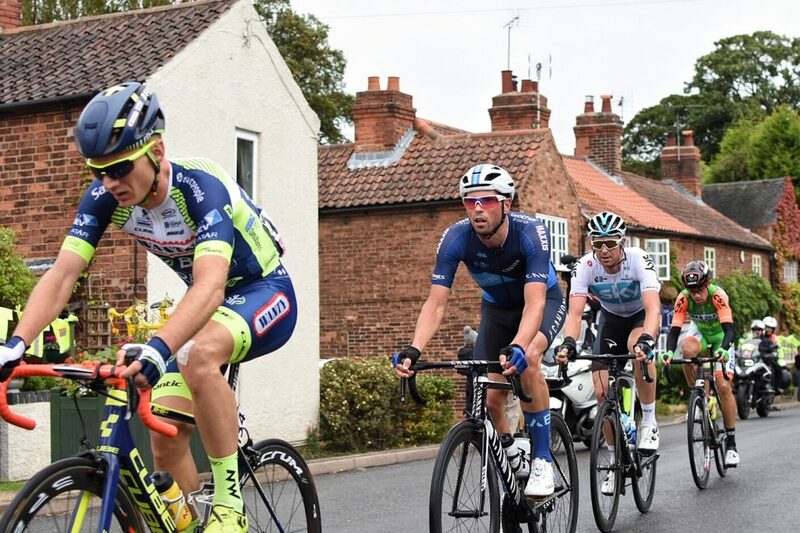 Alex Paton has pulled on the Eisberg sprints jersey with one stage of the Tour of Britain remaining. The Canyon Eisberg man swept up maximum points in Saturday’s 215.6km dash from West Bridgford to Mansfield. 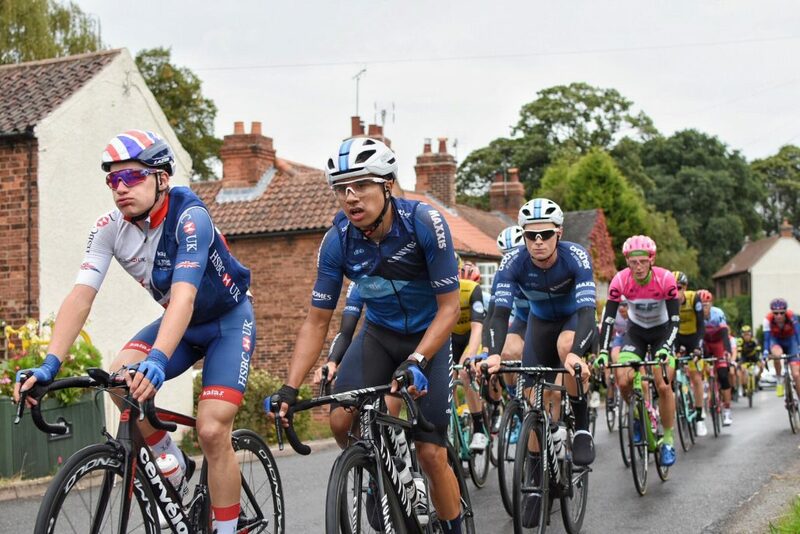 Part of a five-man breakaway on the race’s longest stage, Paton crossed the line uncontested at the intermediate sprints in Retford, Worksop and Bilsthorpe. The 28-year-old then sat up to save his legs for Sunday’s 77km finale in central London, where he will start with a four-point advantage over Madison Genesis’ Matt Holmes. Only nine points will be available on the crit-style eighth stage, offering Paton a fantastic opportunity to take the red jersey home. 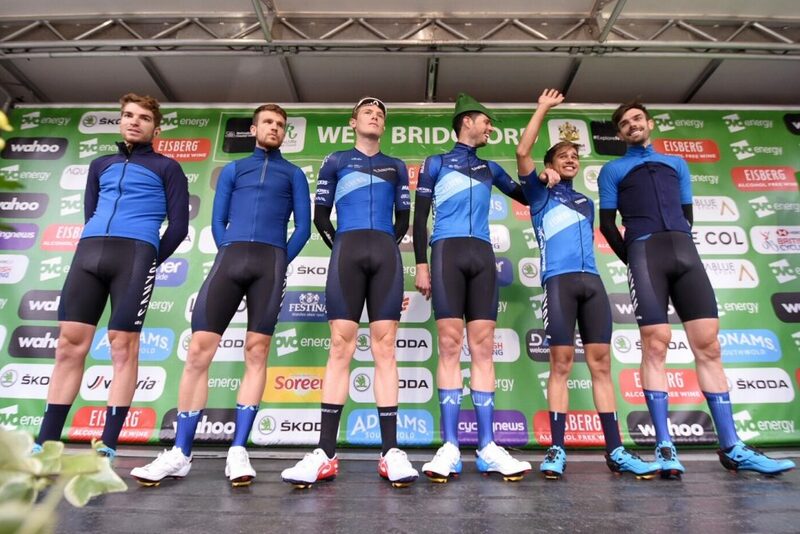 Paton, who hails from Dover but now lives in Aldershot, was the only rider from a domestic Continental squad in the stage seven breakaway and executed the team plan perfectly. He was joined by Ian Stannard, of Team Sky, Wanty Groupe Gobert’s Mark McNally, Nils Politt, of Team Katusha-ALPECIN, and Giovanni Carboni, from Bardiani CSF. And Stannard claimed a stunning solo victory in Mansfield. He kicked clear of Politt inside the final 15km after the peloton had given up the chase with more than 20km remaining. 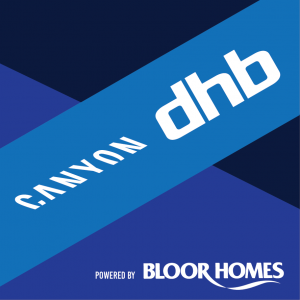 Carboni and McNally held on for third and fourth before Andrew Tennant grabbed ninth from the bunch kick to cap a successful day for Tim Elverson’s Canyon Eisberg squad. It was a third top-10 in as many days for the UCI Continental outfit. 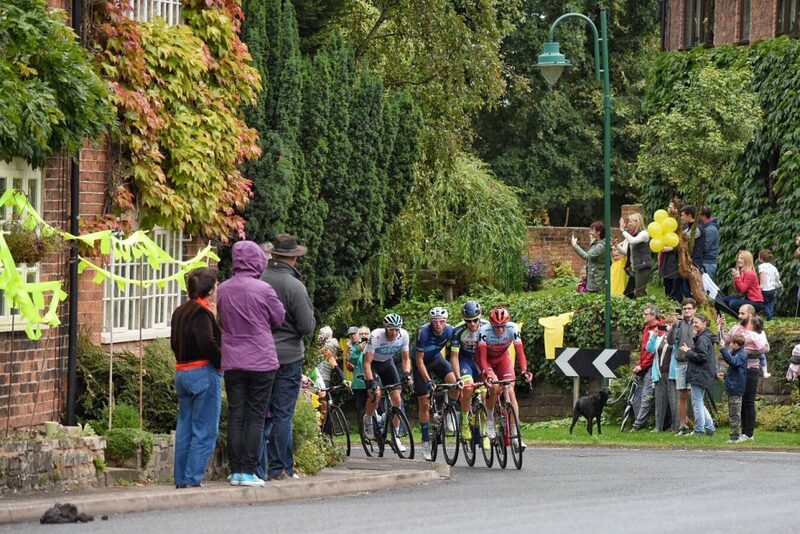 Stannard and Politt had earlier taken the KOMs of Oxton Hill and Bank Hill, respectively, after Jos van Emden, of LottoNL-Jumbo, had crested the opening climb of Keyworth in front. Julian Alaphilippe’s lead in the general classification went unthreatened throughout the stage, which was wet and windy but once again backed by huge crowds. The Frenchman, from Quick-Step Floors, leads Team Sky’s Wout Poels by 17 seconds, with Primoz Roglic third at 33 seconds. Paton’s team-mate Max Stedman, who delivered a fantastic ride to finish ninth on the queen stage on Friday, remains 21st at 2min 42sec. Ryan Christensen, Rory Townsend and Dexter Gardias all rolled into Mansfield safely. Click here for the full result of stage seven. Sunday’s finale, 14 laps of a circuit which starts and finishes on Regent Street, begins at 3.30pm.